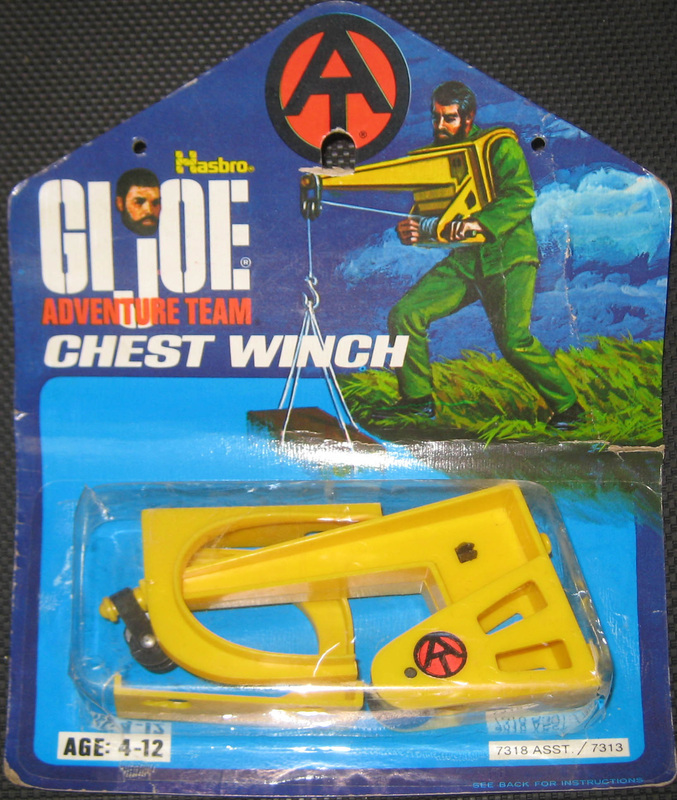 The Chest Winch (7313) is an improbable device that would lead to massive back issues in the real world. It's unclear why anyone would need to lug the awkward device around, so I imagine it spent a lot of time gathering dust at Adventure Team Headquarters. 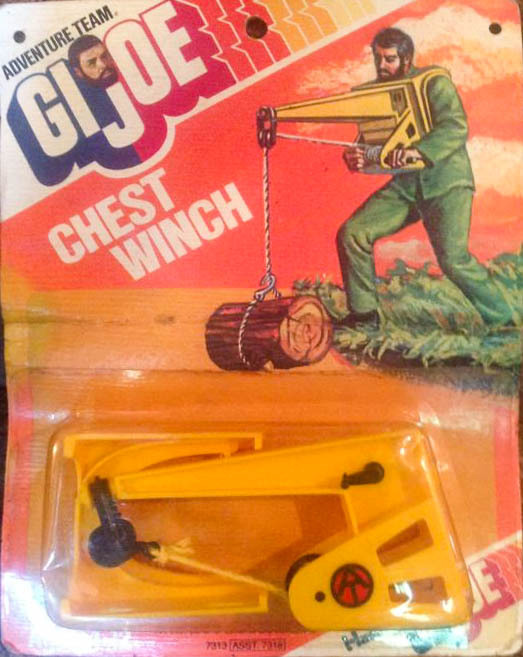 Still, that didn't stop Hasbro from reissuing it in brown as part of Mine Shaft Breakout in 1975. 1972 blue card image courtesy of Steve Stovall. Visit his ebay sales here. Rare 1975 Orange Card version courtesy of Joezeta. See his ebay auctions here.